“Sepak” is Malay for “kick” and “Takraw” is Thai for “hand-woven ball”. As a net game, this sport was first developed in Malaysia, then spread quickly throughout the rest of South East Asia … and in fact is now Malaysia’s national sport. Sepak Takraw is: a cross between soccer and volleyball played on a doubles badminton court, as 3 players on each side of a 5-foot high net get three chances to kick, knee, shoulder, or head a hand-woven ball back to the opposing team. The strategy, like volleyball, is to make the best use of your three hits to pass, set and spike the ball as the opposing team attempts to block – but all without the use of hands or arms! Benefits of Sepak Takraw are that it: can be played as a solo activity, group recreation, or team sport; can be played indoor or outdoor; develops excellent eye-foot co-ordination, leg strength, and flexibility; enhances the skills required for playing soccer; and is very inexpensive to play (equipment is minimal and inter-club traveling can be done in one vehicle since there are only 3 or 4 players on a team – perfect for smaller schools). Overall Main Benefit of Sepak Takraw is: that it is a new game and very appealing, so it attracts participation in a form of recreation that helps develop the largely neglected area of eye-foot coordination and promotes active living among "youth of all ages", but primarily for ages 9 or 10 - adult. There are now over 30 countries playing Sepak Takraw world-wide, with the IOC having viewed it for future Olympic consideration, so isn’t it time your school got its kicks? This fun-filled game of Sepak Takraw mainly combines Soccer and Volleyball on a badminton court, using unique hand-woven balls. Taught properly, participants quickly discover how easy the game is to play … it’s all about modifying and progressions – and developing the largely neglected area of eye-foot coordination. This is a very inexpensive, practical, extremely fun sport that anyone can play … over 30 countries now playing, isn’t it time your school got its kicks? Learn how to execute and teach the basic kicks for Sepak Takraw and play the game, which mainly combines soccer & volleyball on a badminton court … pass, set, spike, block, but no hands! It develops eye-foot coordination, is extremely active & fun, and is a very inexpensive sport to introduce! You’ll also learn the keys for success: modifications, benchmarks & progressions. Sepak Takraw, a game combining soccer & volleyball on a badminton court … pass, set, spike, block, but no hands! Develops eye-foot coordination. Easily modified. Extremely active & fun! Sepak Takraw is a cross between soccer and volleyball, played on a badminton court, as 3 players on each side of a 5-foot high net get three chances to kick, knee, shoulder or head a unique hand-woven ball back to the opposing team. Through video, instruction, lead-up activities, demonstration and participation, participants will be able to learn the skills and strategies necessary to PLAY and TEACH Sepak Takraw. Each participant will also receive handouts on takraw skills, lead-up activities and games, and current international rules that will assist them in implementing Takraw as part of their PE and/or recreation program. RICHARD (RICK) ENGEL: received his Bachelor of Education degree from the University of Regina and taught school for 6 ½ years, part of which included introducing the new sport of Sepak Takraw in Physical Education classes. Rick left teaching in 1993 and founded ASEC International, whose mandate was to ‘Bridge Understanding Between Cultures’, primarily between East and West, through Asia Presentations and ‘hands on’ experiences/activities in schools, of which one of the most popular cultural/sport activities became Sepak Takraw. 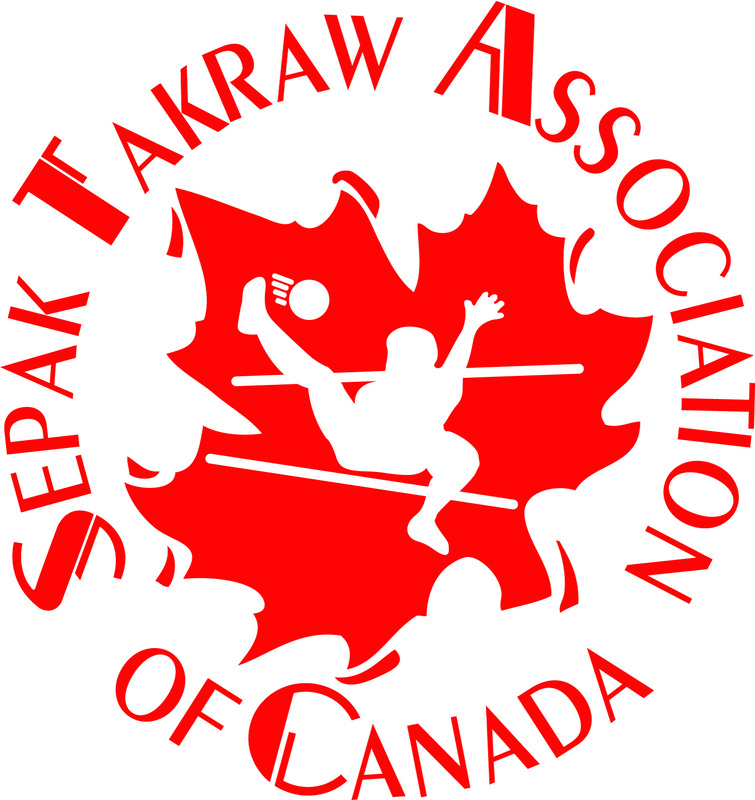 Then in 1998, Rick founded, and is still President of, the Sepak Takraw Association of Canada (STAC) and since 2004 has been one of eight Vice Presidents of the International Sepak Takraw Federation (ISTAF), which governs the sport globally. In 2009 he helped establish, and is Vice President-Finance/Administration of, Sepak Takraw Saskatchewan, Canada’s first official Provincial Sport Governing Body (PSGB) for Sepak Takraw.